Today is a day of democratic unity. With this fascist-like massacre, carried out with despicable cowardice against hundreds of workers and students, with this act of nazi barbarism, ETA seeks to destroy Spanish democracy and undermine the rule of law. It is a direct challenge to the whole of society, a challenge to democracy, an attempt to drench our voting booths with blood. Like other political forces, United Left initially got the perpetrators wrong; but it was right about the fascism. And they should know, because the trail of the 11 March bombings leads back to parts of Madridʼs geography that are charged with political signiﬁcance for the Spanish Left. They are places that evoke all the violence, hope, antagonism, terror, solidarity and disenchantment associated with the democratic struggles against fascism in that part of the world. With the 11 March bombings these sites have once more acquired a global signiﬁcance, raising questions of democracy, violence and political economy on a transnational plane which pose especially challenging dilemmas for the internationalist Left. Atocha is not only the train station originally destined for the terrorist ʻspectacularʼ of 11 March 2004. It also names the street where ﬁve communist lawyers were assassinated by fascist gunmen on 24 January 1977. On that occasion, close to 200,000 mourners attended the victimsʼ funeral at the Plaza de las Salesas, in what was to pass as Madridʼs largest free political demonstration since the proclamation of the Second Republic in the spring of 1931. For historians, the funeral of the Atocha ﬁve signalled a turning point in the road towards the ʻdemocratic transitionʼ inaugurated six months later with the ﬁrst free multi-party elections after Francoʼs forty-year military dictatorship. The 1977 elections opened up a fraught and protracted process of political democratization marked by intensive class struggles, Spainʼs own anni di piombo, the approval of the 1978 Constitution granting unprecedented autonomy to the countryʼs various nationalities and regions, the aborted military coup of February 1981, and the ﬁrst electoral victory of the Socialist Workersʼ Party (PSOE) in 1982. The fourteen-year PSOE hegemony that ensued both challenged and consolidated Spainʼs budding liberal democracy. Under Felipe Gonzálezʼs successive premierships, Spain joined the European Community, and experienced economic growth and signiﬁcant improvements in public infrastructure, administration and services. By 1992 this brave new Spain ofﬁcially entered the hallowed world of ʻmodernityʼ with not one, but three ostentatious displays of its advanced capitalist status: the Seville Expo, the Barcelona Olympics and Madridʼs turn as European city of culture. These were also the pelotazo years (that reckless swigging back of bonuses and backhanders somewhat akin to the English ʻloadsamoneyʼ). They were years of state-sponsored terrorism against suspected ETA sympathizers, privatizations stacked in favour of PSOE cronies, and systematic corruption at senior levels of the administration. It was a period that witnessed the ruthless, often violent deindustrialization of entire regions, unemployment reaching 25 per cent of the working population, and a continued class antagonism that provoked no fewer than three general strikes in the space of a decade. 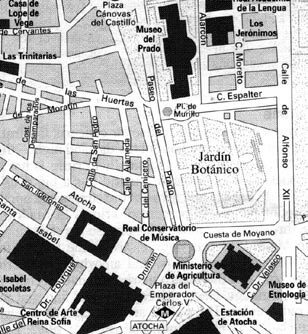 Few places in Madrid better represent that bittersweet experience of ʻdemocratic transitionʼ than El Pozo del Tío Raimundo, a working-class neighbourhood where successive generations of migrants from Spainʼs south forged some of the most powerful – and emblematic – opposition forces to Francoʼs dictatorship. Many of those gathered at the Plaza de las Salesas in January 1977 would have arrived from El Pozo. With the legalization of the communist party and the advent of civil liberties many more will have later participated in the movement against Nato membership which was narrowly defeated in the 1986 referendum after the PSOE reneged on its electoral promise to campaign for Spainʼs withdrawal from the Atlantic Alliance. A quarter of century on, despite – or perhaps because of – momentous domestic and international changes, the people of El Pozo and its neighbouring districts are likely, together with 90 per cent of Spanish public opinion, to have opposed the governmentʼs support of Anglo-American military adventurism in Iraq. Yet it was in these deﬁantly leftist and historically antimilitarist neighbourhoods of southern Madrid that four of the ten bombs blew up on 11 March 2004. Police investigations soon established that the explosives had been activated with the aid of mobile phones purchased at a shop in the neighbourhood of Lavapiés, a stoneʼs throw away from Atocha. The Plaza de Lavapiés stands on the border between the sixteenth-century Habsburg Madrid of the ʻAustriasʼ and the nineteenth-century Madrid of imperial decline. Like most old quarters on either side of the Mediterranean, the area has historically been populated by lower orders – artisans, shopkeepers, traders, domestic servants, some proletarians and the odd bag-snatcher, pimp or dealer. For the past decade or so, it has attracted immigrants from all corners of the world, principally from Spainʼs former colonies, many of whom have joined locals in these professions. After Ecuador, Morocco is the largest exporter of labour to Spain, and there are currently close to half a million Moroccan citizens living and working across the country. Many are recent arrivals who tend to gravitate towards neighbourhoods like Lavapiés with affordable accommodation and an already existing expatriate community; most work in the agribusiness sector, and some – like a number of the twenty-four suspects associated with the 11 March explosions – have been residents for many years and developed business interests in the peninsula. Moroccans and other immigrants have been victims of Spanish xenophobia from the beginning. If they survive the treacherous waters of the Gibraltar strait (or the stretch of the Atlantic leading to the Canary Islands), African immigrants can expect racist assaults, police intimidation, institutional discrimination, super-exploitation and outright pogroms like those that took place in the Andalusian village of El Ejido in February 2000. Responses to such experiences are diverse, but they typically involve the politicization of racism and xenophobia through trade unions, immigrant associations, political organizations and solidarity groups. It has generally involved campaigns for the extension of democratic rights to immigrants; very rarely has religion played a major part in such mobilizations. The Association of Moroccan Immigrant Workers in Spain (ATIME) is one of the oldest and – with close to 15,000 members – the largest of such organizations. After the bombings, which killed ﬁfty-four of his fellow immigrant workers, ATIMEʼs secretary-general, Mustapha El Mirabet, told the Spanish daily El País (7 April 2004):The moment weʼre living through requires radicalism in certain areas, and weʼre going to be radical on this issue: the democratic state of law requires the defence of civil liberties. And there are some extremists who abuse these liberties to attack our coexistence. Well, weʼre going to confront them. Weʼre going to be uncompromising in our defence of the democratic state of law. That such a statement could just as easily have been issued from the White House or Downing Street raises the ﬁrst challenge for the internationalist Left: to reappropriate the language of democracy, freedom and solidarity from its monopolization and instrumentalization by the authoritarian Right. For one of the most serious failures of the Western Left in recent decades has surely been to let such language be bandied about by governments like those of Bush, Blair, Aznar and Berlusconi, which have systematically undermined substantive democracy, clamped down on genuinely plural public spheres and fostered opaque, unaccountable and unrepresentative forms of rule both at home and abroad. The current occupation of Iraq, where ʻfreedomʼ and ʻdemocracyʼ are being imposed externally through the barrel of a gun in much the same way that British imperialism tried to do some eighty years ago, is perhaps the most notable example of how such concepts are being abused domestically and internationally. More worryingly, it is a textbook example of how to ratchet up the global ʻstrategy of tensionʼ pursued by al-Qaeda and its supporters. A central component of such a reappropriation must be its internationalist dimension, because it is not only in the West that the authoritarian Right is revising the meanings of democracy, freedom and solidarity. The Madrid bombings and their precursors have made it clear that the political issues at stake are transnational in nature. The sources of this violence cut across national borders, and so clearly must the political responses. Here the Left should be at an advantage, since its politics have, at least in principle, always been suspicious of the inherent legitimacy of state borders and disdainful of primordialist notions of nationality, religion or ethnicity. Yet for many on the Left this requirement of anti-essentialist internationalism seems only to apply to ʻthe Westʼ. The millenarian demagoguery of Bin Laden and other, more ʻmoderateʼ, Islamists are, in a perverse leftist version of the ʻclash of civilizationsʼ, all too often legitimated as sole expressions of the ʻMuslim worldʼ or the ʻArab resistanceʼ. However, political Islamism is only one of various responses to societies in the midst of a general crisis. It is at root a reactionary ideology, and as such is no friend of democracy or democrats but rather antagonistic, often violently so, towards leftists in the Arab and Muslim worlds. The clash is over ideologies and within civilizations. This is especially clear when seen from the southern side of the Straits of Gibraltar. Tangiers and Tetouan display all of the contradictory symptoms of a postcolonial malaise: an intense and constant trafﬁc with the outside world, which is nonetheless rendered impossibly distant by the Mediterranean ramparts of fortress Europe and a structurally unequal international exchange; a regional socio-economic dynamism, which is often stalled and boycotted by the interests of the Palace (Makhzan) in Rabat and its ubiquitous security services; and, perhaps most importantly, an urban experience marked by gross socio-economic inequality, the mass unemployment or underemployment of an extremely youthful population, and an acute housing crisis that stiﬂes the possibilities of autonomous cultural, recreational and affective life. Nationally, the Moroccan kingdom has witnessed profound political change over the past decade with a gradual and uneven shift from the absolutist rule of Hassan II towards an increasingly plural parliamentary monarchy under Mohammed VI, currently governed by a socialist administration. But it is still is in throes of a general crisis that kicked off in the 1970s and accentuated during the 1980s, where various social forces are battling out the present and future of the country. It is within this context that Islamism has re-emerged as a populist alternative to the perceived corruption of Morocco by ʻWesternʼ values such as democracy, materialism, secularism and gender equality. On the other side of the political divide, Leftists, secularists and feminists of various descriptions have sought to challenge authoritarian rule precisely by upholding these ʻWesternʼ values. One touchstone of such antagonism has been the reform of the mudawana or family code. As part of a broader plan aimed at extending education for girls, improving reproductive care and increasing the number of women in high ofﬁce through a system of quotas, the government proposed a reform of the mudawana which would restrict polygamy, raise the age of marriage from 14 to 18, and equalize rights of divorce and inheritance between men and women. In March 2000, Islamist organizations drew 200,000 demonstrators to the streets of Casablanca, claiming that the action plan was ʻa Zionist and Western plot against a Muslim nationʼ. A counter-march organized by leftwing defenders of the reforms drew 100,000 marchers in Rabat, but the government, intimidated by the prospect of a violent Islamist response, withdrew the initiative. Kashmir, Bosnia, Chechnya, and now Iraq. Like the demobilized young men who formed the shock troops of European interwar fascism, the ʻAfghan Arabsʼ can only ﬁnd permanent employment in violence. They have extended their portfolio of enemies to include not just communists, atheists and Jews, but now generic ʻCrusadersʼ. Unlike European interwar fascism, however, the jihadists do not dispose of the stateʼs machinery of war and oppression. But this could change. The general crisis in states and societies across the Arab and Muslims worlds, coupled with the occupations of Palestine and Iraq, makes it very difﬁcult for progressive forces the world over to deploy terms like ʻdemocracyʼ, ʻsecularismʼ and ʻfreedomʼ against radical Islamism. What difference does four days make? This conviction goes a fair way to explain the swing in favour of the Socialists at the general elections on 14 March 2004. Spaniards understood that, while our countryʼs military presence in occupied Iraq was not the single cause of the attacks, it was nonetheless part of the international context that fuels Islamist terrorism. In other words, attacking Iraq was the worst way of combating terrorism. There is no question that the bombings were successful in placing the links between war and terrorism at the forefront of votersʼ minds. But equally important was the crassly partisan mismanagement by the incumbent Popular Party (PP) government of the circumstances surrounding the attacks. In their insistence, right up to the day before the election, that Basque separatists were in the frame for the atrocity, the PP displayed all too openly their manipulation of suffering and their disdain for public opinion. This arrogant miscalculation was to cost them the election. Two facts gleaned from the electoral data bear out this interpretation. The ﬁrst is the 8.5 per cent increase in voter turnout with respect to the previous legislative election in 2000, much of it made up of nearly 2 million ﬁrst-time voters. The second is that while the PSOE gained close to 3 million new votes, the PP lost only 600,000 votes. Putting all these ﬁgures together, and factoring in the rise in the nationalist vote at the expense of the PP in Catalonia and the Basque country, it seems reasonable to speculate that the aggregate swing was not so much away from the PP, but in favour of the PSOE and the regional nationalists. Put differently, the ﬁrst-time voters and those who abstained in 2000 went to the polling booths with the intention of punishing the ruling party. Whether this was the result of its support for the war on Iraq, its political manipulation of the 11 March bombings, or a combination, is an open question. In any event, a generation after the Atocha assassinations of 1977, Spaniards responded to the second Atocha attacks in a similar fashion: with a turn to the power of the electoral ballot. For the Spanish Left, the departure from ofﬁce (with a ticket to Georgetown University) of José María Aznar – a grey, pious, provincial politician to whom only the proverbially astringent catellanos could ever ascribe charisma – brings to an end eight long years of cultural and social regression marked by the unholy combination of devout colonization and wanton commodiﬁcation of the public sphere. Many Spaniards breathed a sigh of relief after the elections in the expectation that the new Premier, José Luis Rodríguez Zapatero – a quiet, unassuming northern Castilian who has nonetheless shown character by openly supporting the ʻperipheralʼ football club FC Barcelona – will redress these years of right-wing Catholic, centralist socio-political and cultural hegemony. The promise of a democratic overhaul of the Senate, a more engaging attitude towards nationalists of Spainʼs various autonomies, a root-and-branch reform of the stateʼs unspeakably philistine broadcasting media, and, most importantly, a political willingness to tackle comprehensively such pressing social questions as the epidemic of violence against women or the astronomical rise in the cost of housing, all point to the unequivocal leftward turn resulting from the Socialist victory. The one arena where the new Socialist administration has already cashed in its promise to break with the PP is in foreign policy. The immediate honouring of the electoral commitment to withdraw Spanish troops from Iraq unless there was a clear UN political and military control of Iraq, after 30 June, caught many observers by surprise. Although it is largely a symbolic gesture with more domestic than international repercussions, it has served to realign Spanish foreign policy with its more natural allies at the heart of Europe. Zapateroʼs swift rapprochement with Morocco after years of unnecessary tension between the PP government and its southern neighbour (the low point of which was the farcical military dispute over the island of Perejíl, inhabited by one man and his goats) indicates a genuine willingness to engage with the kingdom as an equal partner – particularly on the issue of intelligence gathering which, ex post facto, might have proved especially signiﬁcant in preventing or disrupting the 11 March attacks. The appointment of Miguel Angel Moratinos, former EU representative to the Middle East peace process, as Spanish Minister of Foreign Affairs further signals an attempt once again to place the Arab world – together with Europe and the Iberoamerican community, the main poles of Spanish external relations – at the centre of the new administrationʼs foreign policy. there are likely to be further atrocities in future and a credible political response to such violence must be developed. A fundamentally undemocratic institution like the UN Security Council is an unsatisfactory forum for addressing this violence, much less so are the national security institutions of implicated states. It is necessary, therefore, to begin imagining and realizing alternative sources of international authority against indiscriminate violence – be it state-sponsored or transnational. Finally, the internationalist Left should be uncompromising in its defence of secularism within an increasingly religiously framed conﬂict. Secularism is a progressive value that is not anti-religious but simply requests that religious beliefs – whatever their provenance or expression – remain subordinated to politics. The Madrid bombings were the product of religious fanaticism, and the sources of that violence have been further inﬂamed by the redemptive and militarized liberalism of Bush and Blair. Standing in between, the internationalist Left must continue confronting our own governmentsʼ imperial adventurism, but also analyse the often very local dynamics of Islamist terrorism, so as to offer viable political alternatives to such violence. The impressive worldwide mobilizations against war and occupation are in this respect a small part of the even more challenging task of developing democratic and socialist alternatives to the current world order.